In our current day and age, cyber crimes are taking an increasing toll on society. It is adversely affecting several businesses with data losses and security issues. Did your business face any issues with cyber crime attacks? Have you ever lost valuable business data due to cyber attacks? Are you currently looking for an affordable solution where you can achieve a higher level of security for your business data? Fingerprint authentication is the perfect answer for businesses of all sizes. It is an invaluable and cost-effective security solution for every business type. The fingerprint scanner enables businesses to safeguard sensitive business data, reduce the operational cost by eliminating the fraud and waste, offer higher level of security to business documents, as well as accurately track the employee time and attendance. Additionally, the fingerprint technology is a user-friendly solution, easy to access, and a scalable option for small and mid-sized businesses. Fingerprint authentication is an automated identification feature that utilizes the unique biological characteristic, such as minutiae points, to authenticate the identity of a user in a more secured, convenient, and encrypted way. It is an easy solution for businesses as its customers and employees do not need to remember the complex and long passwords for authentication purposes. Additionally, the fingerprint authentication enables users to confirm their identity in seconds. How Does the Fingerprint Technology Work? There are the two stages involved in the fingerprint authentication process. The first stage is the enrollment process, while the second stage is the verification of the user’s identity. In the first stage of enrollment, the system scans, analyzes, and then stores each individual’s fingerprints in the coded form on a secured database. The analysis of users’ fingerprints will help the system to learn in-depth about its users, whom it needs to recognize on a daily basis. Once the process of enrollment is completed, then the system is ready to use with the appearance of the second stage, the verification process. During the verification process, the user who wants to gain access must place their finger on a scanner. Then the system cross-checks the user’s fingerprint against all the fingerprints stored in the database. This procedure allows the system to determine whether a particular user is entitled to gain access or not. Typically, it takes half a second to authenticate the user’s identity. Businesses generally use fingerprint technology as their main security feature because fingerprints are unique to every user as well as it offers less likelihood of failure. Fingerprint authentication technology poses several advantages to businesses such as increasing the business data security, improving the customer experience, lowering the operational and payroll costs, saving the management time and money, fostering the faster deployment, offering minimal training, as well as it is a healthy return investment for businesses. 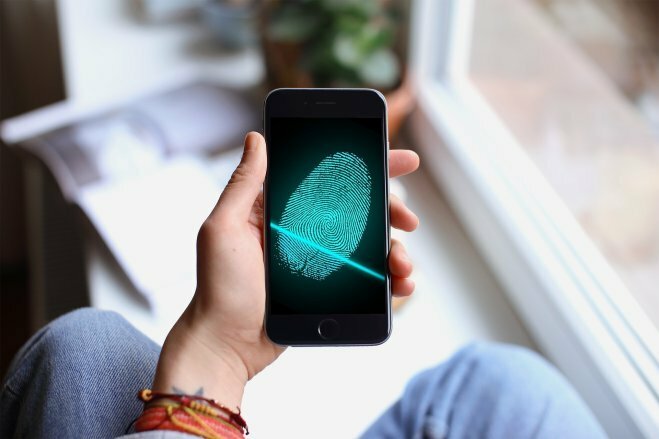 Additionally, fingerprint authentication is the scalable option for all sizes of businesses because it provides a higher level of security for large business databases as well as it removes the hassle of remembering the complex passwords for identification purposes. What are you waiting for? Empower your business today with online fingerprint authentication technology, as it offers high security measures for business properties as well as eliminates the time card fraud and paycheck disputes, which are imperative to business operations. Why Manual Expense Reporting Won’t Work in the Long Run?